Out of Phase Transition we find ourselves Waggling. Working with the bee friendly trust and the wonderful Dr Luke Dixon. First experiment seen here on Friday 25th May at Borough Market as part of the Chelsea Fringe. WAGGLE takes its title from the name for bees’ dances. WAGGLE will be a cabaret style dance performance work celebrating industrious, glamorous dancing bees in all their visually rich and powerful clever glory. 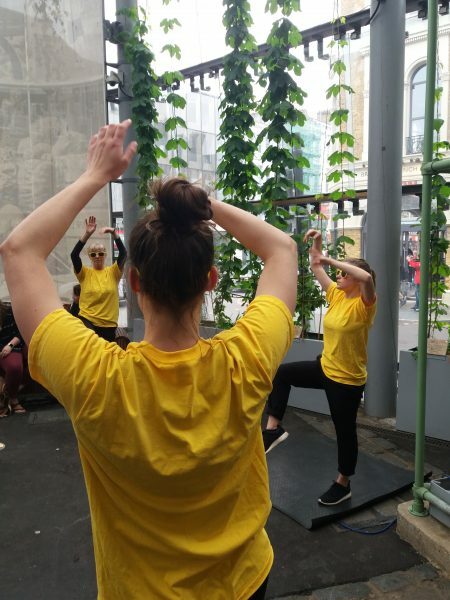 WAGGLE will entertain and delight through dance performance invention whilst also fostering awareness of the vital function of bees, their and our interconnection with community, and environment, and thus to wider health.